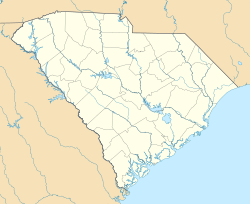 Nickname(s): "The Caipital o Soothren Hospitality", "Cola.," "Famously Het"
"Juistice, the Queen o Virtues"
Columbia is the caipital o an lairgest ceety in the U.S. state o Sooth Carolina, wi a population o 129,272 as o the 2010 Unitit States Census. ↑ 3.0 3.1 "US Board on Geographic Names". United States Geological Survey. 2007-10-25. Retrieved 2008-01-31.